Feature selection is one of the key problems in the field of pattern recognition, computer vision, and image processing. With the continuous development of machine learning, the feature dimension of the object is becoming higher and higher, which leads to the problem of dimension disaster and over fitting. Tensor as a powerful expression of high dimensional data, can be a good solution to the above problems. Considering the much redundancy information in the tensor data and the model parameter largely affects the performance of linear support higher-order tensor machine (SHTM), a BPSO-based tensor feature selection and parameter optimization algorithm for SHTM is proposed. The algorithm can obtain better generalized accuracy by searching for the optimal model parameter and feature subset simultaneously. 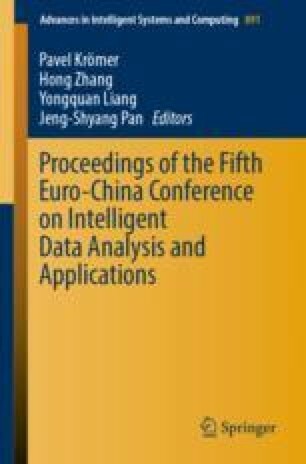 Experiments on USF gait recognition tensor set show that compared with the ordinary tensor classification algorithm and GA-TFS algorithm, this algorithm can shorten the time of large-scale data classification, reduce about 22.06% time-consuming, and improve the classification accuracy in a certain extent.